You saw the huge ads from the real estate guru in the paper every day or stalking you all over the internet for a week, you attended the FREE hour sales pitch to sell the week end event. They hook you at the under $500 event to buy even more training. You have seen them. . . . the Gurus. Then they want to sell you the more expensive stuff. But I say before you ever go to these events, first do a little online research. If it is your first foray into real estate, before you spend several thousand dollars, first figure out what it is that you want to learn. The guru will be back again in 6 months to a year and you can sign up then – I am sure they will still want to sell you their training. The question then becomes where do you figure out what it is you want to learn? 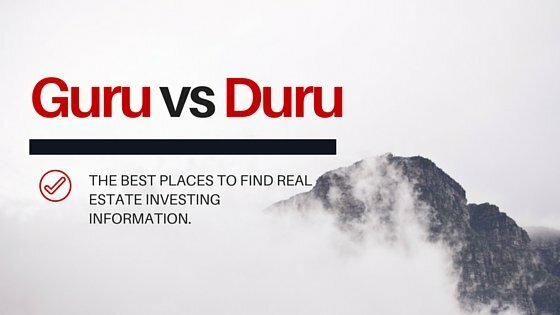 Personally I would recommend finding the local Real Estate Investment Group or the Durus – the guys actually doing it! Here you will find a large group of people who have been in your shoes, probably a person or two who have been to the expensive training that you can talk to. You will find seminars (at much lower prices if not free) with speakers on a wide range of topics that will educate you. Many groups have online or actual an actual library where you can gain a ton of knowledge for free. Then after figuring out what it is you want to do, you then spend the money. I mean if you were going to go to college, you might start off with a semester or two getting the basics that everyone needs to graduate completed (what you learn at the REIA group) and then you spend the big money on the major courses of study (the guru training) after you have figured out what it is you want to do. 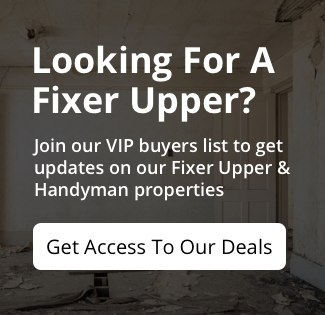 So how do you find the local real estate investor (REIA) group? Go online and do a search or two – there are 100’s of web sites out there with lists of local groups. Before you join I would see if you can attend a meeting to check it out. Especially if there are several groups in your area. You may find one fits your needs better than the others. Or you may find you want to join all of them if the fees are not to high. You also want to find out if it is a true REIA group dedicated to education and networking, there are quite a few listed on a lot of web sites that are just a buying club centered around a real estate agent who brings you deals. And while that is not a bad thing, being able to network with a lot of different people and getting introduced to a lot of different ideas and investment styles may be much more productive until you figure out your niche. I would also venture a guess if you are going on a tour of another city with a guru to find out about investing in that city, or you get a sales pitch from a guru or big marketing company to again, find the REIA group in that city. Here in the Kansas City Metro we get large groups coming in for GURU training classes, being in the center of the country with cheap hotels we get a lot of groups, plus properties are relatively cheap – so the Guru’s head to our great city. But what you learn and are introduced to on these tours may be a little bit one sided. After all they want to sell you a property, so they may not tell you all the bad points, only the good ones. I would suggest striking out on your own, talking with a few of the members of our group- Mid-America Association of Real Estate Investors to find out if all you are being told, and sold on these tours is correct and not missing a few of the lesser known facts. Like some areas may have exceptional cash flow, but if the house goes vacant, how much do you need to worry about vandalism. Or not huge cash flows, but great values to be had on buying property right now, but how hard is it to find a good property manager to keep it rented and cash flowing until the market turns and you can sell for a profit. Sure you can buy all cash and refinance out, but how hard is it to refinance out. 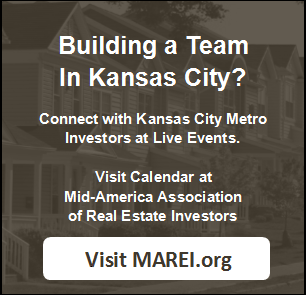 To connect with the local REIA in Kansas City, please go to MAREI.org. You can pre-register for your first meeting and attend for free. Or if you are not in Kansas City, check out NationalREIA.org to find a group in your area.